Andrea CARPINTERI is Full Professor of Structural Mechanics at the University of Parma (Italy) since 2000, and Chairman of a Research Doctorate on “Civil Engineering and Architecture” at the same University since 2013. He is Chairman of the TC3 (Technical Committee No.3 “Fatigue of Engineering Materials and Structures”) of ESIS (European Structural Integrity Society) since 2000. He was elected “ESIS Fellow” by the Fellows Committee of ESIS (European Structural Integrity Society) “for outstanding contributions to the field of Structural Integrity”, in June 2012, and was elected “IGF Honorary Member” by the Executive Committee of IGF (Italian Group of Fracture) “for the significant research, editorial and organization activities in the field of structural integrity (fracture mechanics and fatigue)”, in March 2017. He is a member of the editorial boards of “International Journal of Fatigue”, “Fatigue & Fracture of Engineering Materials & Structures”, “Theoretical and Applied Fracture Mechanics”, and other five International Journals. His research fields are: (i) Multiaxial fatigue of materials and structures under constant and variable amplitude loadings; (ii) Fracture Mechanics applied to engineering materials and structures; (iii) Theoretical and numerical modelling of materials and structures; (iv) Reinforced and fibre-reinforced concrete structures. 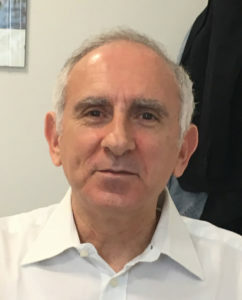 He is author or co-author of about 150 papers on international journals, Editor of 3 books, Co-Guest Editor of 19 Special Issues of International Journals, Co-Chairman of 11 International Conferences, Co-Chairman of several Research Projects.